Will she always live with you? It’s a question I get a lot about Kate. And understandably so. For many parents, the idea of their children always living with them isn’t the ideal. After all, we want our little birdies to fly from the nest. Spread their wings. Go out into the world and be independent, healthy, self-sufficient adults. We want to believe that after the hard work of child-rearing is over, we’ll be able to enjoy the fruits of our labor with gardening, golf courses and Caribbean cruises. Many look forward with anticipation to the “empty nest.” And when they realize that—as parents of a daughter with Down syndrome—we may not ever have a fully empty nest, they wonder if that’s concerning for us. But I can honestly say: I’ve had a lot of concerns when it comes to Kate having Down syndrome—medical, social, societal—but never has the idea that she may live longer in our home than our other children ever bothered me. When I express this, I sometimes receive a surprised response. And at one time, I may have been surprised, too—what? You’re not looking forward to having freedom again finally? The truth is, I’ve never been more tired. Challenged. Busy. I’ve never had less sleep and more chores. Less me-time and more to-do’s. I’ve never been pulled in as many directions—or have had so much responsibility. Life has never been more stressful, messy, or chaotic. But it’s also never been more joyful. I’ve never felt as full of purpose, meaning, love—or peace. I’ve never felt as complete. In serving my family as a wife and mother, I’ve stumbled upon the real riches of life, the good stuff, the stuff that even when it’s hard, is so very rewarding. And because of this, I always want a full nest. Perhaps not in the traditional sense of having my children living at home—but in the sense that I always hope to have a home where I can serve, love and enjoy the people around me. A place where I can be who I am meant to be and help others do the same. A nest where grown children and grandchildren visit often. Where family elders may come live someday. Where neighbors and friends and extended family feel welcome. So when I think of Kate still being there—with her hilarious personality, darling little smile and sweet spirit—I don’t feel robbed of anything. Will Kate always live with us? Possibly. But very possibly not. Many adults with Down syndrome live on their own and have incredibly independent lives. But if she happens to stick around because that’s what’s best for her, we will love to have her here. When it comes to motherhood, I always try to live for today anyway—the good and the challenging times will pass and soon another stage will replace this one. But I work hard not to hold my breath for the future—when there’s too much happening right now that takes my breath away. Sure, right now my husband and I don’t get a lot of alone time—but when our eyes lock from across the room and he gives me that grin I fell in love with—and there’s a house full of laughter between us, we feel so very blessed. (Not to mention, we never take for granted our special times alone because we know that they’re few and far in between!) We don’t have tons of relaxation, but we have incredibly rewarding responsibilities. We don’t go on a lot of vacations, but the view we love the most is the outside looking in. With hearts so full, our nest will never be empty—no matter where our children fly away to. And that’s exactly how I like it. This is a beautiful and perfect summary of where I am in my life right now too.! It’s weird that I find this today because just yesterday, I was reflecting on the likelihood of my 2yo son with Down Syndrome living with me indefinitely. I don’t usually have time for such reflections but I was surprised at my current feelings on the matter. I thought to myself, “cool!”. Also, in this moment of reflection, I noted that I was peaceful and I wondered if this moment of peace (older 2 at soccer games, little 2 sleeping and all the major chores done) was what I had been praying for and that although stressful, life is good. I also thought how nice it would be to have someone I love and loves me around all the time! Who knows who our children will become but I know I will love him always and hopefully he reciprocates. there is a possibility he will always be with me and like I said, ….cool. 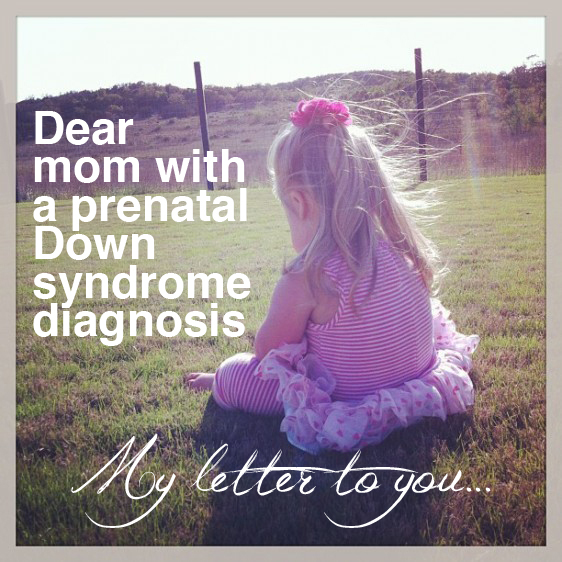 I have an adult daughter with Down syndrome. She has lived in a group home for 17 years. She spends time with her peer group, had a job and enjoyed life. She came home on weekends, and now at age 54 she is “retired”, and spends 3 days at home and 4 days a week with her group home friends. She is a joy to know, and I am so proud of her. This has worked for us, and she seems to be happy. Thank you for sharing your thoughts on this …. Seems we’ve become so focussed in the US with separation and independence. People look askance at multigenerational living. But the reality is that many families do face situations where the generations are going to be living together out of health or financial necessity. You just never know what life is going to bring. We are friends with a family who had a teen daughter who was in a car accident and since then has had the mental capacity of a preschooler. (Just for example). Life can turn on a dime. In my own family we are coming at it from the other direction: I am permanently physically disabled from a brain tumor and need someone who can take care of the house and yard and run errands and drive etc etc. so my children, who were 8 and 10 when this happened a few years ago, and I face this from the perspective of one of them will be the one to stay and be the one to invite a spouse in and be the one to raise their family here in the home with me ….. We feel so blessed to have each other, to love each other this much to care for one another and to share our lives together. No matter the circumstances, life is such a blessing and a gift! Lauren,you are a very wise woman….to know that this time in your life is the best time. Full of life hectic schedules ,no sleep ,no time for yourself etc! I am very happy my children are grown and on their own. But I do look back and miss having my family home with me. My daughter posted this on FB she has six children age11 through 2 years old. Her 4 th child Delaney has D.S. What a blessing she is! I am sure she agrees with you as well ! Hugs and enjoy the moment now! Don’t get me wrong I love my alone time too. But you just might have the best of both. When people ask me this I always try to point out that NOBODY knows if they’ll end up with an adult child living with them. Any number of things could happen that would necessitate that. Maybe Daniel will always live with us, maybe he won’t. We won’t know until we get there! This brings to mind Galatians 2:20. This IS perfect love. As a new mom of a sweet little girl who has Down syndrome, she has filled our hearts with so much joy. In just 2 short months we have had to deal with almost every typical downs trait. A 6 weeks stay in NICU, home on a feeding tube because she doesn’t eat and a AV canal heart defect that will be fix sometime this spring. Everything we have gone through makes us stronger. We adjust and almost weekly we have a new normal but I wouldn’t change her for 1 million dollars. I have been told, “I don’t know how you do it” truth is we do what needs to be done and keep telling ourselves, this too shall pass. We go with the flow and are surrounded by amazing family and friends. I remind myself she will not remember any of this and will continue to overcome obstacles daily. Your blog is something I love reading because it gives me hope. Thank you! Well said. Very moving. Peace be with you. We were asked the same thing, multiple times, while in the process to adopt our son who happens to have Down Syndrome. Some friends couldn’t believe that we’d choose to bring a child in to our home that may never leave our home. You know what? I’d rather him *live* in our home indefinitely than barely survive in the place he previously lived. Thank you for writing this and sharing it. I have provided foster care for a gentleman for 17 years…he has numerous special needs…he is my family, often I am asked if he will always live with me….I’m never sure what to say…why wouldn’t he…I could never put into words what was in my heart..but you did…and now I have an answer….thank you again….